Next season can’t come soon enough for the Aussie. 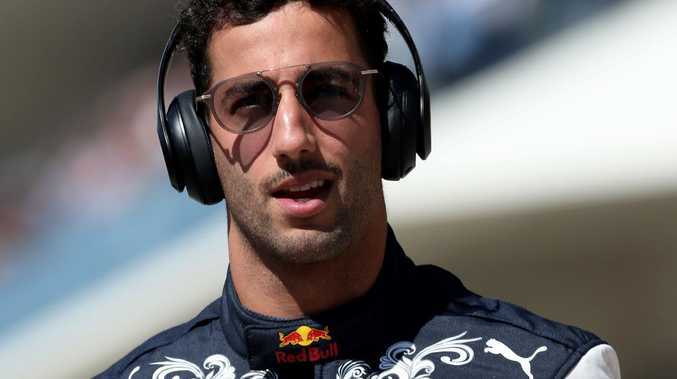 A FRUSTRATED Daniel Ricciardo has bemoaned his luck after another engine failure at the US GP, and admits he is "running out of races" to celebrate with Red Bull before he leaves the team at the end of the season. Ricciardo, in fourth at the time, was forced to retire after just 10 laps in Austin due to an energy store issue on his power unit, which is supplied by the team he is joining for F1 2019, Renault. It was the seventh DNF of the season for Ricciardo, more than any other driver, and five of those have been down to mechanical failures. "It's incredibly frustrating to retire so early in the race and I just don't seem to have any luck at the moment," the Australian said. "The biggest shame is that I only have a handful of races left with Red Bull and I want to have more highs than we've had," he continued. "I want to be able to celebrate with the team at least one more time and be on the podium to enjoy that feeling, but we're running out of races which is pretty tough to take at the moment." To add to his disappointment, Ricciardo's teammate Max Verstappen went on to finish second and just behind race-winner Kimi Raikkonen. Ricciardo was comfortably ahead of Verstappen before his power outage. He added: "Now, seeing how the race played out makes it even harder to take as it could have been pretty interesting." It was certainly a missed opportunity for Ricciardo, and his anger seemingly boiled over after the race. Red Bull boss Christian Horner revealed Ricciardo punched a wall in his driver's room. "But we are still in a great position and for me there is frustration because I want to win the title for the team. Today we lost points in the constructors' (championship) with the team and collectively we've lost performance in some areas. But I think we know where it is. We still have three races to go." "Everybody was in the same boat with the lack of running (on Friday) and I think we did a really good job with our decision making and where we got the car to," said Hamilton. "But you saw the car was in a million pieces this morning, so it wasn't ideal for the race.